This benefit is exclusive to the cruise only. Entrance to attractions is not included. 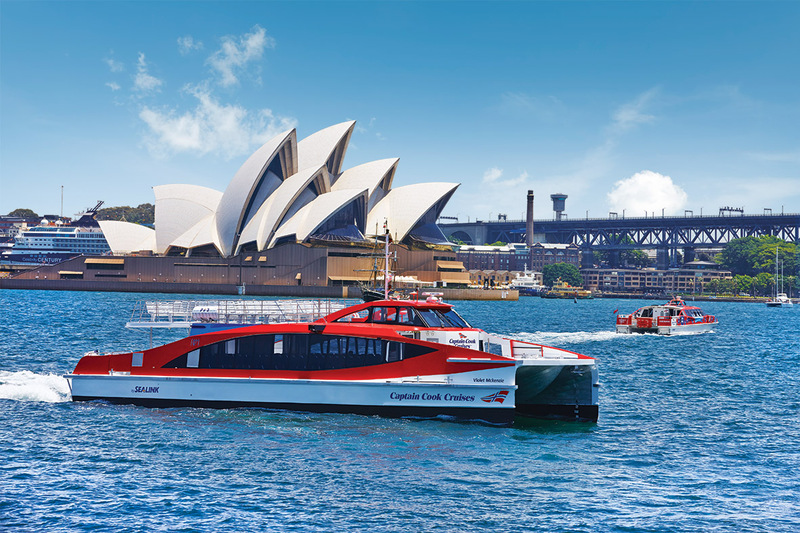 Cruise Sydney Harbour at your own pace with hop-on hop-off 24-hour ruise pass. Explore 11 amazing stops - Darling Harbour, Luna Park, Circular Quay, Taronga Zoo, Fort Denison, Garden Island, Watsons Bay, Shark Island, Barangaroo King St Wharf, International Convention Centre and Manly. This is a great way to see more of Sydney Harbour’s top locations and enjoy great savings! Round trips range from 60-90 minutes. Hop On Hop Off cruises depart the main tourist precincts of Circular Quay and Darling Harbour every 30-45 minutes and Manly every hour. At every stop you will find more of Sydneys top attractions and experiences to discover. At Circular Quay, you can explore the famous Sydney Opera House, wander through the historic Rocks precinct and on weekends enjoy the fabulous weekend markets. Darling Harbour is home to SEA LIFE Sydney Aquarium, WILD LIFE Sydney Zoo and Madame Tussauds as well as many fabulous eateries and shops. Watsons Bay has great picnic areas and playgrounds and is also home to the famous Doyle’s seafood restaurant and waterfront pub. Taronga Zoo is also one not to be missed with its amazing wildlife and incredible harbour outlook it makes for a wonderful day out for the entire family. Bring a jacket, swimmers, a hat and sunscreen. If you are going to Shark Island, it is recommended to bring a picnic lunch. Alternatively, Watson’s Bay has excellent fish and chips at Doyle’s. If you want to dine at the famous restaurant at Fort Denison, you will need to book ahead of time to avoid disappointment. It is recommended to have a look at the timetable before you go as some locations have longer wait times before the next vessel than others.